Before I share to you the Katsu varieties of Chef Terazawa, let me share to you the secret behind every katsu he made. Chef Terazawa prepares and cooks tonkatsu using the traditional method. The secret is on the curing of pork cutlets by wrapping it in white cloth for three days before cooking it with fresh bread crumbs. Now that we know his secret let us now know the specialties, first stop is the Hire (hee-re) Katsu. "Hire" means pork fillet. Taste = 4/5. Looks = 5/5. Serving = 4/5. Price = good. Next is Rosu Katsu. "Rosu" means pork loin and expect to have a little pork fat. 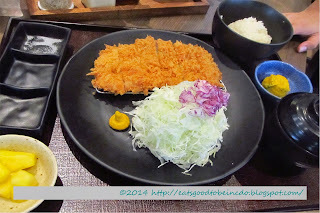 Tonkatsu by Terazawa uses local pork for the Hire and Rosu Katsu Sets. 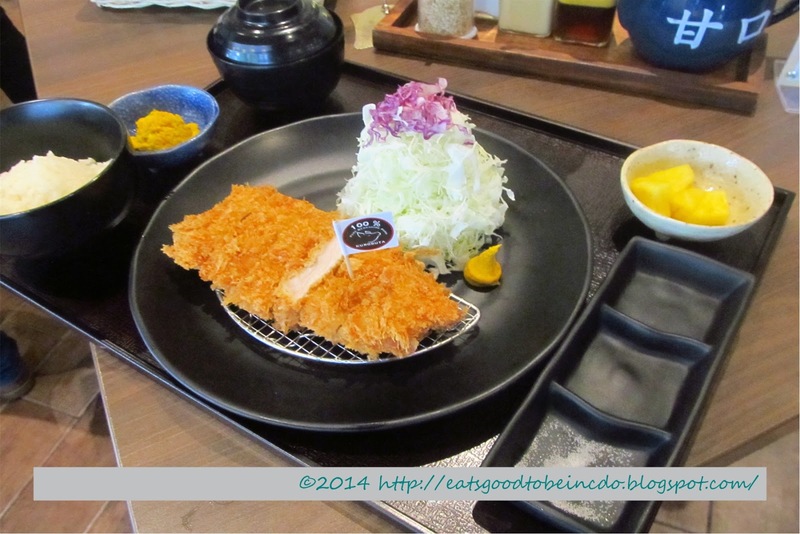 But there is one variety that made Rosu katsu set more yummy, the Kurobuta Rosu Katsu. Kurobuta is a Japanese Berkshire Black Pig. Tonkatsu by Terazawa only uses the imported pork from Japan for this set. Taste = 5/5. Looks = 5/5. Serving = 5/5. Price = good. Last stop before our dessert is the best (for me) of them all. The Iberico Kastsu. We all know that Jamon Iberico is one of the tastiest and one of the most expensive type of ham from an Iberian Black Pig. 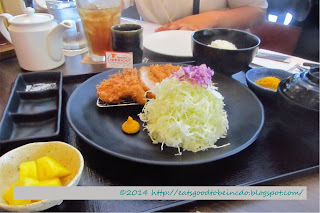 Tonkatsu by Terazawa uses the same type of pork for this katsu which they imported from Spain. Taste = 7/5. Looks = 5/5. Serving = 5/5. Price = best. All Katsu Sets have: shredded cabbage, a bowl of rice, 2 side dishes and a bowl of miso soup. As promised lets go now to our dessert. 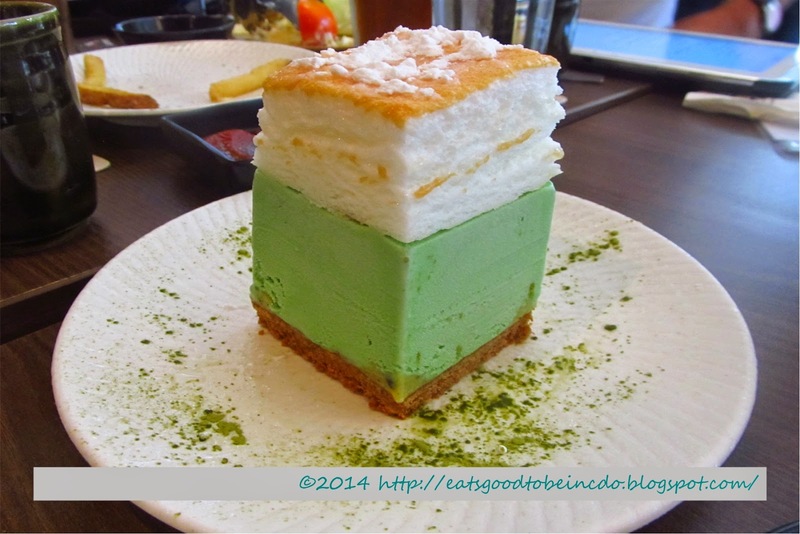 Each katsu will definitely bring you to Japan with this Frozen Green Tea. Tonkatsu by Terazawa is located in the ground floor of Centrio Mall. They share a space with her sister company Italianis.